As seniors get older, it can sometimes be difficult to manage all the changes that are happening with their living situations. It's important that everyone is on the same page, and one person who can facilitate that is a healthcare professional. There are many roles these experts can take, whether it's through assisted living guidance or trying to determine one's financial benefits. These experts can be there for families and the elders themselves should they have any questions with the transition into senior living. 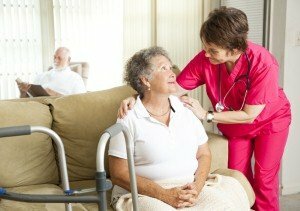 Healthcare professionals can serve as a support system, as the process of moving into an assisted living facility can sometimes feel overwhelming. According to Aging Care, it's important that when moving a senior to an assisted living facility, there is communication between the caregiver, doctor and healthcare professionals at the residence. This way, it can be an easier transition for the senior when they begin the moving process. Sometimes, it's hard to let go once a senior enters assisted living, but healthcare professionals can help with this course of action. It's a good idea to speak to the staff to see how your loved one is adjusting, and also have them reassure you. Because seniors can have a lot of benefits offered to them, it can sometimes be complicated to navigate what exactly people can qualify for. According to Caregiver.com, benefits counselors are available, typically through the Area Agencies on Aging (AAA), to help a senior and their loved ones determine if they are eligible for benefits. Some of the programs that these counselors can look into for you include insurance, Social Security, Medicare, retirement and income tax.